Telecoms.com periodically invites third parties to share their views on the industry’s most pressing issues. In this piece Sanjay Goel, President for Global Services at Nokia, looks at what is required to become a Digital Service Provider. The communications landscape is set to change more in the next three years than it has over the past twenty combined. Security, efficiency, speed and customer satisfaction are the new normal for Communication Service Providers (CSPs) – and with 5G and the realization of the fourth industrial revolution on the horizon, operations and service delivery are set to become far more complex than ever before. There will be no more one size fits all infrastructure for telecoms as CSPs become Digital Service Providers (DSPs). This evolution to DSP will see consumer expectations grow as the industrial market matures. In the short term, 5G and gradual digitalization will see operators focus on enriching consumer experiences for operators. New services and experiences such as haptics, AR and VR will change the way we learn, experience sporting events and remotely manage tasks. The experience gained through enriching consumer services and experiences through these new technologies will then enable operators to further venture into more industrial use cases and massive IoT. Of course, expectations around convenience, speed and agility will continue to mature and every service experience will increasingly need to become service and customer-centric, with data and machine learning leveraged to autonomously adapt the network to rapidly changing consumer demands and service attributes. This represents a real challenge for today’s CSPs – margins are smaller than ever before and new technologies are expensive to deploy. Processes and capabilities need to be industrialized to better scale and operate in the global landscape if CSPs are to keep costs under control and maintain margins. Efficiency will be core to success. The fourth industrial revolution will magnify the need for efficiency as increasing connectivity across all industries creates new customers and markets that require new services and solutions. 5G will become a catalyst for many of these markets, but raises its own CAPEX and OPEX challenges for CSPs looking to upgrade and they will need to make strong decisions about the services they want to offer and the market segments they want to prioritize as they grow. My view is that industry will be the next key market for CSP growth. The next three years will no longer be about bigger pipe, but customized services and use-cases delivered with high degrees of automation and within large partner ecosystems. Challenging performance requirements and increasing complexity in new markets such as smart cities and farming will open up double digit growth opportunities but can only be addressed with the assistance of curated ecosystems that manage complexity. Still, it’s not just complexity in terms of network size, technologies and the industrial market that CSPs need to plan for. Networks need to be operated differently to respond to unique customer-by-customer SLAs and the DSPs of tomorrow need to be able to dynamically adjust the network as requirements change. This new level of customer-centricity – that we’ve not seen before – will require new ways of thinking. These changes are coming, fast, but it’s not too late to develop the roadmap that will take an operator from CSP to DSP. Reducing complexity and cost can be boiled down to better planning (get it right first time!) and digitizing processes. Digital tools allow for the accurate prediction of how a network can behave before it is deployed and can ensure that as much legacy equipment as possible is maintained and that products from different vendors can work together coherently. Modelling can also identify bottlenecks and ensure the best possible coverage for the least investment. Digitization unlocks the door for zero incremental cost to network operations while optimizing service delivery costs and near instantaneous provisioning of new virtual resources and services, with network operations enabling innovation instead of being a bottleneck. A single seamless operations environment across network and data center and IT operations is required. The reward for CSPs that evolve smoothly into DSPs will be significant, with greater growth to be found in the industrial market and joining growing ecosystems. There will be outside threats as the market matures and new start-ups enter the supply chain, fulfilling roles we cannot imagine today, but CSPs that have planned their journey to DSPs will thrive. Sanjay Goel has over 27 years of experience across the telecommunications, information technology and engineering industries. In April 2018 he became President of Global Services at Nokia where he leads the team that helps operators and enterprises navigate through complexities and transform their business and adopt new technologies such as cloud, 5G and IoT. 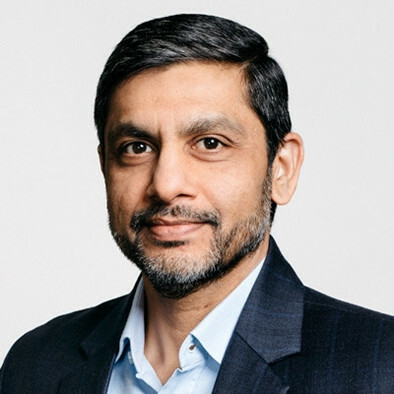 Currently based in Espoo, Finland, Sanjay joined Nokia in 2001 and has held many senior management roles across the organization, including Senior Vice President, Global Services Sales and Vice President of Services for Asia, Middle East & Africa.